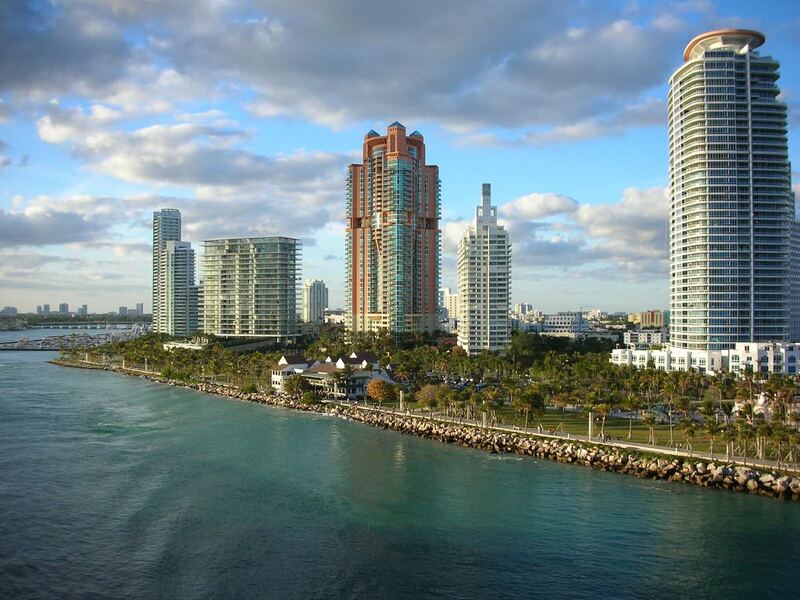 Miami is the main resort city of the US located on the Atlantic coast of Florida. This is a well-developed and a fashionable resort famous for its endless beaches, great weather with sunny days and wonderful climate conditions. Miami is a modern place, and so here visitors can see huge luxury villas and mansions of the richest people of the world, moguls and movie star. Collins Avenue is the location of most expensive hotels in Miami (the closer to the south a hotel is, the higher is the price). All old districts of the city have been cleaned up and reconstructed, so people who come to Miami for the first time often call it the city without the slightest blemish. Ocean Drive area is, of course, the center of Miami. From its eastern part you can easily get to a white sandy beach, while the western part is represented by a long street dotted with numerous cafes and restaurants. The most modern and colorful region of ​​Miami is Wynwood. Until the middle of the 20th century, it was an unremarkable territory occupied by small industrial enterprises and auto repair shops. In 2005, the city authorities decided to transform this area and it was completely reconstructed. The surviving buildings of old workshops and warehouses are now decorated with bright graffiti drawings. 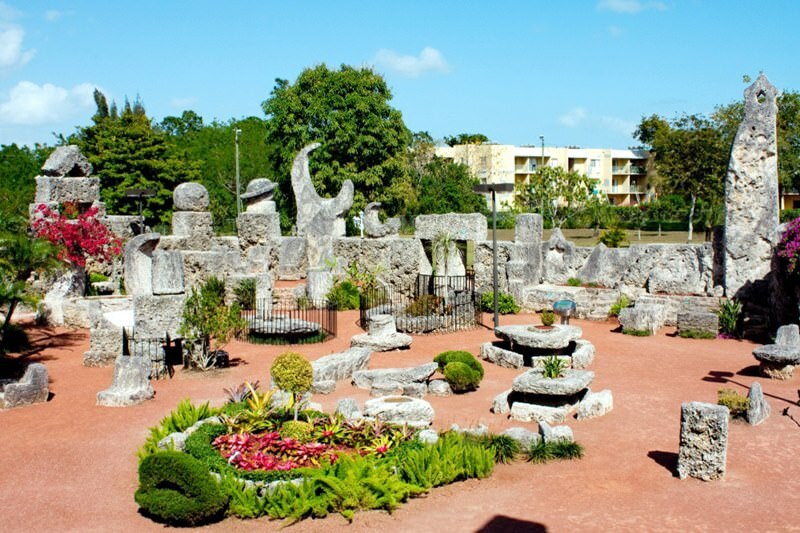 Now the picturesque area enjoys immense popularity among creative people from all over the world. In the center of Miami, is one of the main architectural monuments of the city - the Freedom Tower. This beautiful high-rise building was constructed in 1925. Originally, it housed the publishing house of The Miami News. In 1957, the building was placed at the disposal of the city authorities. For many years, there was a center, which dealt with the design of Cuban immigrants. Now the building has an interesting museum dedicated to the history and culture of Cuba, as well as an old library with a valuable collection of books. For all fans of art, it is worth visiting the Perez Art Museum. It opened in 1984 and was originally used as a gallery for temporary exhibitions. Over time, well-known contemporary artists from various countries began to send their works to the museum. So, it formed a permanent exposition. Now visitors of the museum can see interesting works of painters of the 20th - 21st centuries. Annually, about 300 000 people visit this gallery. There are very interesting religious monuments in the city, among which is the Gesu Church. This Catholic Church was built in 1896. It is the oldest in the city. The last major reconstruction of the church took place in 1921. It managed to keep its art stained-glass windows. On the ceiling, you can see a fine art painting. Fans of natural attractions in Miami will have the opportunity to visit the beautiful Everglades National Park. Its main area is occupied by mangrove forests. On the territory of this park, there are many rare animals and birds. Among the main features of the park is a network of lakes located on its territory, which served to form a unique ecosystem in this area. Some researchers call Everglades Park the biggest marsh in the world. Its area is 6,000 square Kilometers. This guide to iconic landmarks and sights of Miami is protected by the copyright law. You can re-publish this content with mandatory attribution: direct and active hyperlink to www.orangesmile.com. Check on the map: Distance from Miami center - 39.4 km. All about Miami, USA - sightseeings, attractions, touristic spots, architecture, history, culture and cuisine. Prepare your trip together with OrangeSmile.com - find out the 'must see' things in Miami, which places to visit, which excursions to take, where the breathtaking views are waiting for you. Planning your trip with this travel guide will help your to get the most out of Miami in few days.